Harvest Sensations sources the globe for all our products and that includes both conventional and organic produce. Organic Butternut Squash is one of our best sellers for fall favorite recipes and menu options. Butternut squash, with its sweet, nutty flavor has become a Fall staple in homes and in restaurants. Hearty soups, stuffed ravioli, vegetable lasagna and baked casseroles are all great uses for the squash. Thanksgiving is the optimal occasion to feature this delicious vegetable. Blending butternut with sweet potatoes takes the ordinary to extraordinary especially when topped with a praline crumble, just say’ in. Harvest Sensations sells Organic Diced Butternut Squash to foodservice distributors and retailers in a 2-pound package packed 5/2lb. The best part about butternut is that it is rich in vitamins A and C as well as a good source of potassium and fiber. 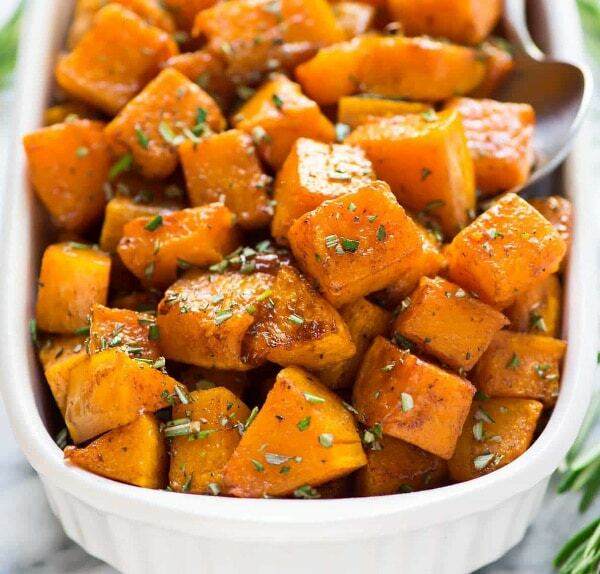 So, serve it up and try this recipe for Cinnamon Roasted Butternut Squash.